A historic day for the Italian Republic. 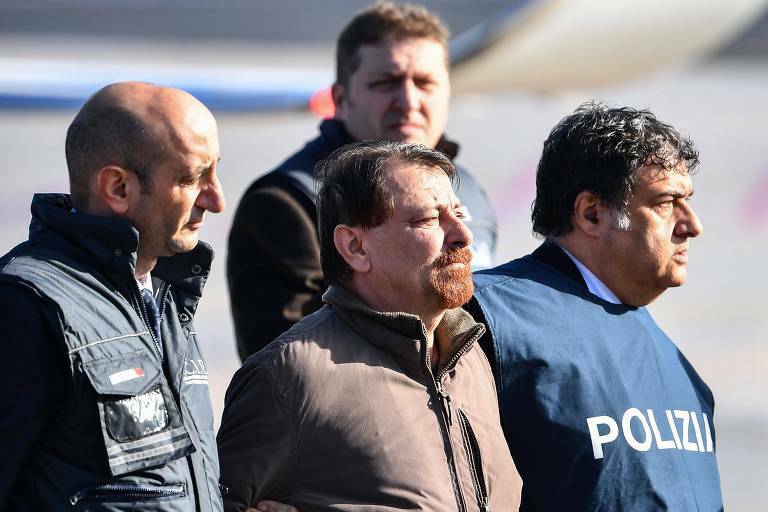 It was with triumphalist tones and nudges to the new Brazilian president that Italy received Cesare Battisti, 64, a former communist militant sentenced to life imprisonment after murdering four people in the late 1970s. Battisti has spent the last 38 years on the run, living in countries like France, Mexico, Brazil, and Bolivia. The run was over Monday morning, when he arrived in the Ciampino airport, Rome, after being arrested in Bolivia during the weekend. It was the final episode of one of the longest and more complexes cases in the Italian diplomatic history, which the current right-wing populist administration used to reinforce its hardliner reputation, one that it shares with Jair Bolsonaro. Prime Minister Giuseppe Conte enthusiastically thanked president Bolsonaro during his public announcement made hours after Battisti's arrival. "Brazil's change of government was crucial for this outcome. I spoke to Bolsonaro and heartily thanked him," he said. Deputy Prime Minister Matteo Salvini, who also heads the country's extreme right-wing political party Liga, also talked to Bolsonaro over the telephone and praised him during interviews and on social media. Reports from eyewitness contradict the Bolivian police's version that Battisti's arrest occurred peacefully and discretely. Someone fired two shots upwards after Battisti had been restrained, according to two people present during the arrest on Saturday (12th).